How to restore the elements from hidden to document state in DockingManager? 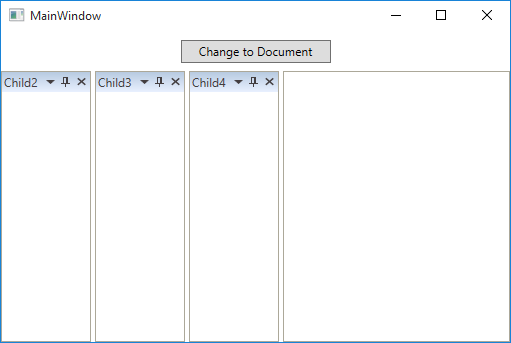 To restore the element from the hidden state to document state in DockingManager, ExecuteDocument() method of DockingManager can be used. The same has been demonstrated in the following code snippet. 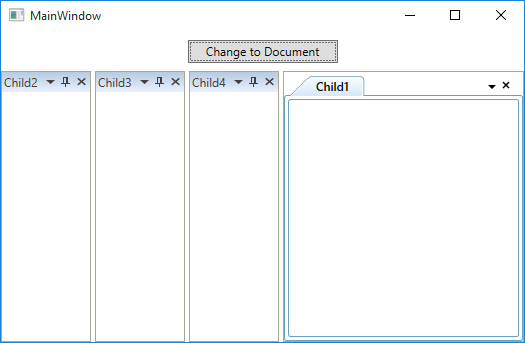 For instance, we have change the one hidden child to document using the button click event. #The following output shows the first child is hidden.